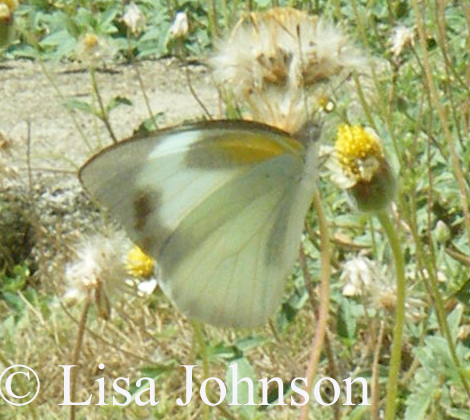 Identification: Male is solid white on both upper and lower surfaces of wings except for a narrow edging of black along the forewing costal margin. 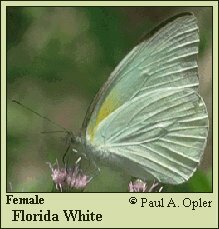 Female has 2 forms: the dry-season form is all white; the wet season form has black along the forewing costal margin and a yellow-orange upper hindwing. Wing Span: 2 1/8 - 3 inches (5.3 - 7.7 cm). Life History: Males patrol with erratic flight, searching for females. Females lay single eggs at tips of developing host plant leaves. Caterpillars are shade-loving and feed during the night and on cloudy days. Flight: Dry-season form from October-April, wet-season form from May-September. Caterpillar Hosts: Various plants in the family Putranjivaceae and family Brassicaceae, including Guiana plum (Drypetes lateriflora) and Limber Caper or Bayleaf Capertree (Capparis flexuosa) in Florida. 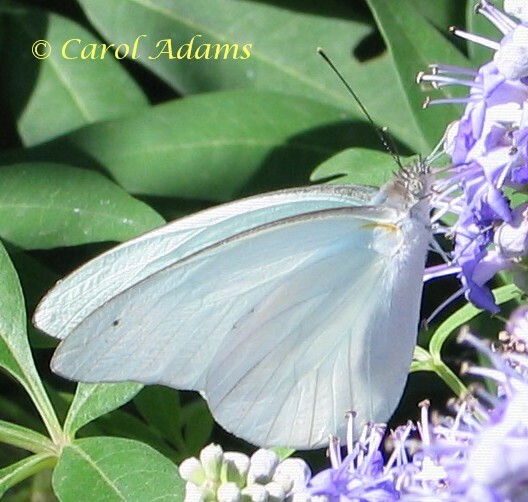 Adult Food: Flower nectar from a variety of weeds and garden plants including lantana and eupatorium. Habitat: Tropical lowland evergreen or semideciduous forests. Range: Tropical America from Brazil north to southern peninsular Florida and the Keys; Antilles. Frequently visits coastal Texas, rare stray to Nebraska and Colorado. Conservation: Preserve hardwood hammock habitat in southern Florida. 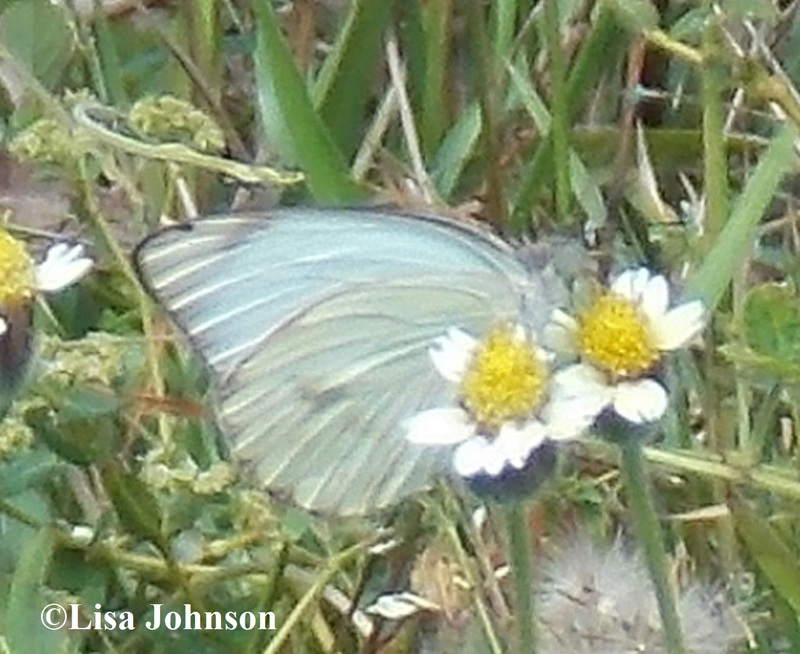 Management Needs: Avoid mosquito fogging near this butterfly\'s habitat. Comments: Edited food plants as per John Calhoun email (9/2009).